How To Promote Your Blog For FREE, All My Secrets Revealed! It’s about time I get to it and put all of my blog promoting knowledge, that I’ve learned over the years, on paper and organize it in a way that I, my self, can follow and apply it to this very blog. It’s nice when you know things but when you know too much, it is hard to focus and do any of it without stopping, putting it on paper and organizing it in some comprehendible way. No, I have not created a plan yet but I did put it down on paper – well on digital paper anyway. As I said, this is all the knowledge I’ve gathered over the years, plus I read some awesome blog posts that were really long so I had to make notes. What you are seeing below is the actual short notes that summarize the tasks need done and all the other stuff that I added in to complete this ultimate guide on how to promote your blog for free. I’ve divided the information into sections so it is easier to follow. It starts from the very beginning, which is keywords and goes through step by step. I recommend printing it out and posting it somewhere in front of you so you can put it to action on regular basis. Remember, this is not a quick fix, it is a long term project that will ultimately make your blog be #1 in most of your keywords, if you stick to the plan and diligently work on this every day… or how ever often you decide for your self. Keywords is the very first step you should take because this is how you know what you need to do next. Everything follows the keywords, the domain, the blog content and external marketing efforts. Spend a couple of hours researching keywords using the Google Keyword Tool for “Demand” numbers and quoted google search for “Supply” numbers. Keep Demand high as possible while Supply under 50,000 for best results. Make list of best keywords (at least 20). Use SEOMoz’s On-Page Report Card tool and get “A” on all the words. Research keywords on Google Tool as you write articles. Make sure [Exact] match is on. Get your WordPress blog in order and ready for the workload. If you are not using WordPress, you should still read this section over because you can apply the same steps to your own blog. Add a related posts plugin to add below the single posts so the visitor can continue reading your posts. I can not recommend a good one because I could not find one my sled and built my own. I will be releasing it to the public soon so stay tuned. Change the name of the Categories widget to Topics. It gets better results I hear. Change Pages widget name to Popular Articles. Change Recent Posts widget name to Latest Posts. Add a subscription form from http://www.aWeber.com or some other autoresponder service, to your blog and collect subscribers that you can market to later. Start on the inside and get it all ready to go before you go on to external stuff. It’s like cleaning up the house before inviting guests. If new blog/site, start with 1 300-500 words post per day for 30 days, then go to 3 per week for 30 days, then at least 1 per week after that. Keep posting one new article per week 300-500 words minimum. Research keywords on Google Tool (use Supply/Demand method above) as you write articles. Make sure [Exact] match is on. Create content for the Heavy Content Sharers in your audience. Find popular conversations or posts and attach yourself to them by writing your opinion about it. Create a list of “best-of” comparing blogs/bloggers/designers/posts/etc to each other. A graphic works well so the targets can repost and brag about it giving you a link. – be sure to let them know about it (tweet?). Create graphics (even simple doodles) and use them in your posts but post them on Flickr with link-back-licensing. Add text right under the image that says that reusing is fine but with a link back. Reference your’s and other’s posts in your writing. Target their potential Google Alerts (their name) so they know you are linking to them… or contact them and let them know so they can link back to you or maybe write a post about your post giving you a link that way. Again, use internal linking to own posts. Update old content with a link to the new updated one. Use Google Analytics to know where the visitors are coming from and how long each referrer’s peeps stay to know whom to cater the posts to. Add a FeedBurner.com subscription button (RSS & Email), so it is very visible on the blog/site, so the ones that like the blog would easily see how they can come back later. Now time for external things. Once you have everything ready on the blog, it is time to call the guests. Spread the word and tell the world. YouTube Channel gives you one PR9 link. Make up some videos. Forums – find a few forums where your audience hangs out and provide meaningful participation. Established yourself as credible. Get a do-follow signature link. Hang out in communities where your audience is already present. Research those sites and find a way to participate. Get more Twitter followers by searching for a keyword on FollowerWonk.com or Twellow.com and follow the ones that have the most followers and high tweets amount. – Find a relevant one to your topic and participate. Build value and you shall be rewarded. Participate in Reddit.com or sub-Reddits. Check answer sites like Yahoo answers, answers.com, Quora, StackExchange, Formspring, etc. Find popular questions and write a post on the blog and point them to the post. Find a bunch of related blogs that produce good content and add them to your RSS Reader so you can browse through them quickly. Find good posts and repost links to them on your social profiles. Use Hootsuite.com to schedule them throughout the day and post automatically to all your social profiles and pages. Build a custom Facebook page and post on it regularly. Run a PPC “Click LIKE if you love INSERT_YOUR_WORD_HERE” Facebook campaign. This can get down to $0.03 per click if the weather is right. May be worth it to collect Fans. Article marketing is a very good way to build links. Not only are you planting links into the article directories but then other bloggers will pick those up and post them on their sites which gives you even more links. Write unique, original, 300-500 words article for each of your keywords (minimum 20). – Submit the articles to article directories. Submit one or two articles per day. Adding more will flag your site with Google because they will detect a bunch of links coming in all of a sudden. Gradual start and gradual finish is best. Include a bio with one deep link (pointing to a specific page) using your keyword as anchor text and one homepage link using the website name or the domain as anchor text. Articles should be useful and readable, unique and original. Mention the keyword term ad least 3 times within the article. Include the keyword term in the title of the article. Bold, italicize or highlight a keyword within the article once. Do not add links inside the article body unless it really needs it to add value for reference. If adding a link, link to a specific page and not the domain. For best results, keep submitting a new article or two per month. Take guest posting seriously and it will pay off. Write your best stuff and give it away, you can always write more for your blog but you need to build a reputation out there so, only good stuff goes there. Build deep links (add links to specific pages instead of the homepage) from your articles. Guest Post through BloggerLinkUp.com. 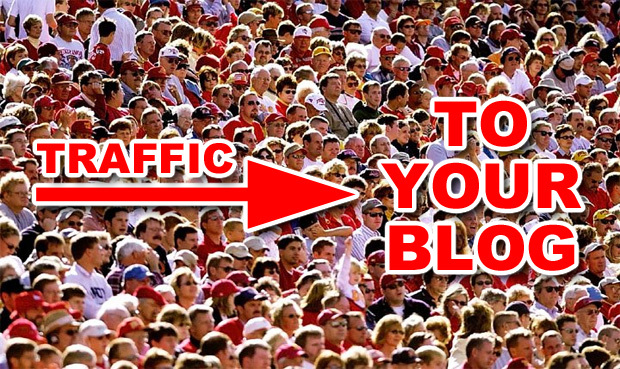 Check the traffic stats and look at site before submitting a guest post to them. – Check out the profiles of friends you’re connected with to see if they run blogs of their own that might be a good fit to guest post. Same goes for commenting, take this seriously, no drive-by commenting. Participate, invest your self into it. Remember, you are in it for the long haul. Comment remarkable comments and do not spam but include a link if it is relevant and necessary. Count on visitors seeing you over and over and visiting your site, not search engine benefits so much, this way you focus on quality which pays off in the long run. Read the author’s last 5 posts to get an idea who this person is and how to comment to have an impactful impression. Read the last 3 posts worth of comments to get a sense for the community’s level and style of discourse. Read previous comments on the post to be aware what’s being discussed. Only link to your content once, only if you have to, to provide value. If linking, link to specific pages, not homepage. Use your real identity (and photo) when posting comments. Be authentic and be you. Toot your own horn about your mentioning, or commenting on, someone’s blog post. Tweet something like “Left a comment on @username’s post: http://link.com (Name of post)” This will let them know you just commented and will make them notice you for possible future benefits. Watch those user inks when commenting, make sure they are not spamy. A link like www.hothomeloans.com” might get a link-strip, but linking to “www.hothomeloans.com/my-bio.html” could very possibly pass the same smell test. A few more things that came to mind that are worth mentioning. Use email signature to promote blog. Try getting same links that your competitors get, use http://www.opensiteexplorer.org to find competitors’ links. Write, write, write. Write on the blog, add articles, guest posts, articles for other sites, answer HelpAReporterOut.com (HARO) requests, answer questions and participate in forums. Couple times per year post an SEO-optimized Press Release at PRWeb. There are dozens of sites that will republish your release, creating dozens of new links. Sign up for HelpAReporterOut.com (HARO) and become a source. Fill out the full profile. Here are a couple of latest articles I read where I found a lot of this awesome information.